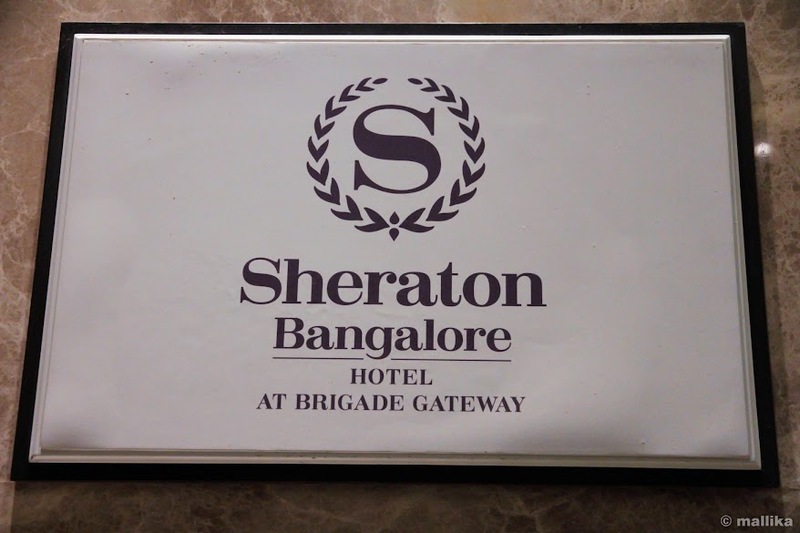 Earlier this week I headed over to the Sheraton Bangalore Hotel at Brigade Gateway located in the heart of city on Malleshwaram-Rajajinagar road to experience the flavors of Awadhi cuisine. I was invited to be a part of this 10 day long food festival hosted by Sheraton in all splendor to celebrate the traditional cuisine of Lucknow - it's warmth, feel and richness you will experience right at the entrance of Sheraton's Feast restaurant where this festival is currently running till the 19th of October. 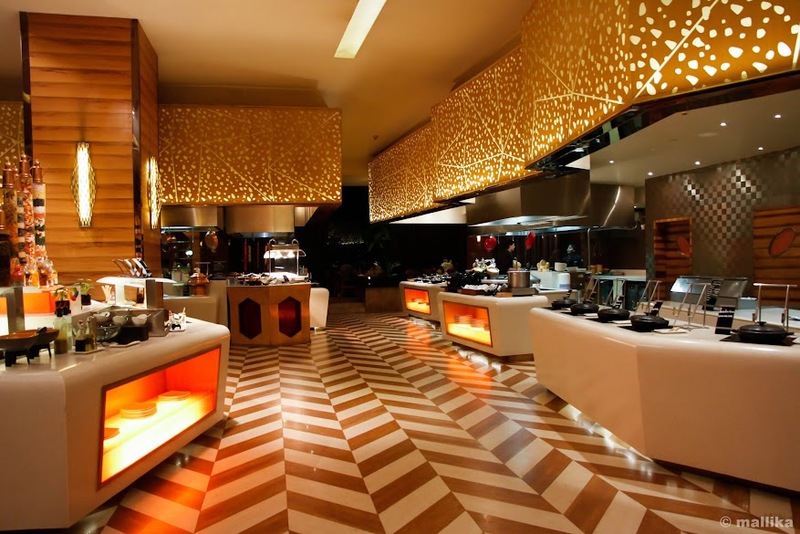 Make your way through the city and be there to indulge in the vivid, rich flavors of Awadhi khana. Cuisine from Awadh isn't unknown to many. It comes with a legacy from the Nawabs and the kings. 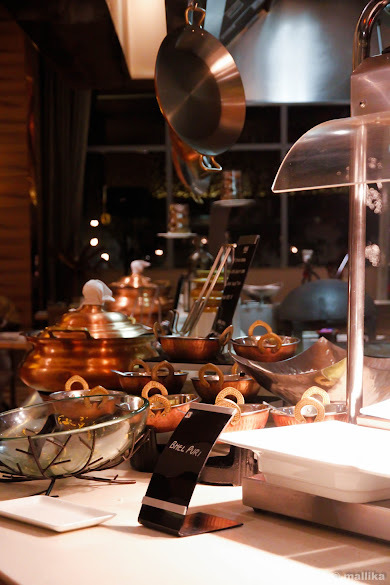 With heavy influences from the Mughal cooking techniques such as dum, Awadh cuisine bears striking similarities to those of Persia, Kashmir, Punjab and Hyderabad. It's essence lies in its richness with liberal use of exotic spices including saffron and sandalwood. 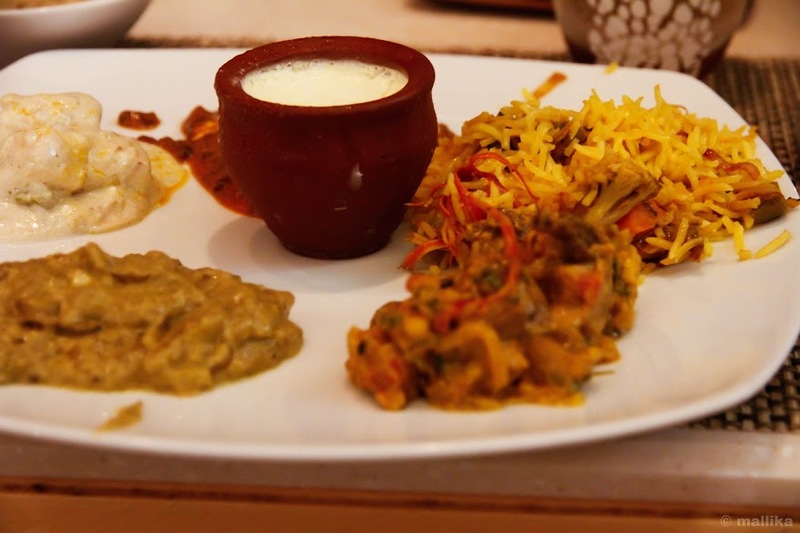 While Awadhi cuisine is predominantly known for its non-vegetarian delicacies, my eagerness to visit this food festival was to explore the uncharted reigns of vegetarian delicacies of this region. What's in it for me and if it was really worth the visit? A year ago I had a chance to visit Lucknow and savor their local cuisine. 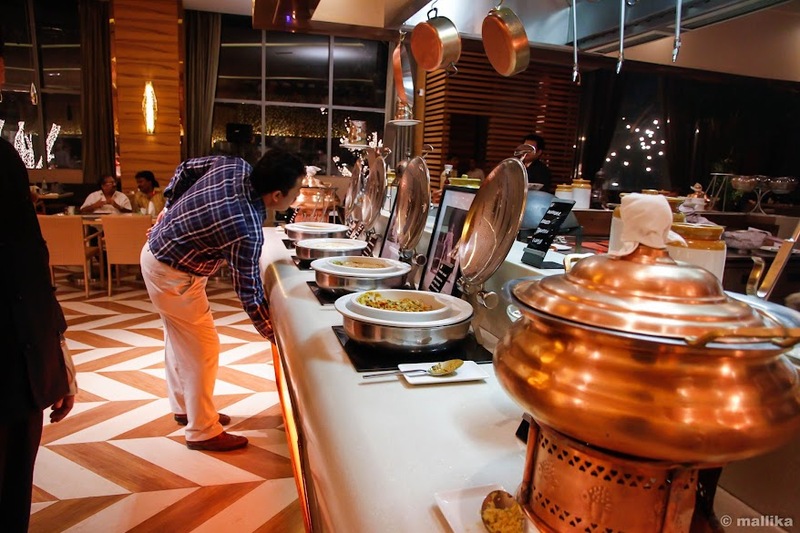 However with Sheraton's Guest Chef Rehman and their in-house Chef Maqsood re-creating the Nawabi flavors, this food festival promised to offer more than what I had known and savored in the past. 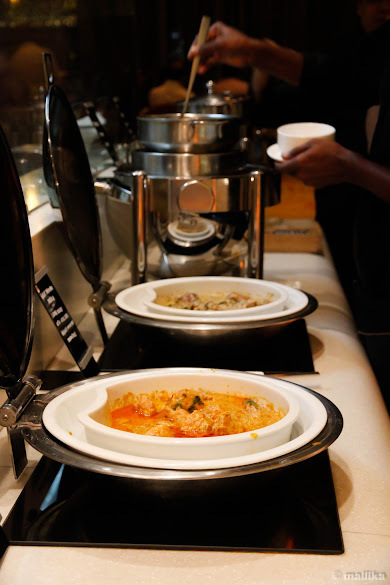 So I put my thoughts to rest and headed for an evening to savor the royal feast put together by the F&B team at Sheraton. Indeed worth every bit. 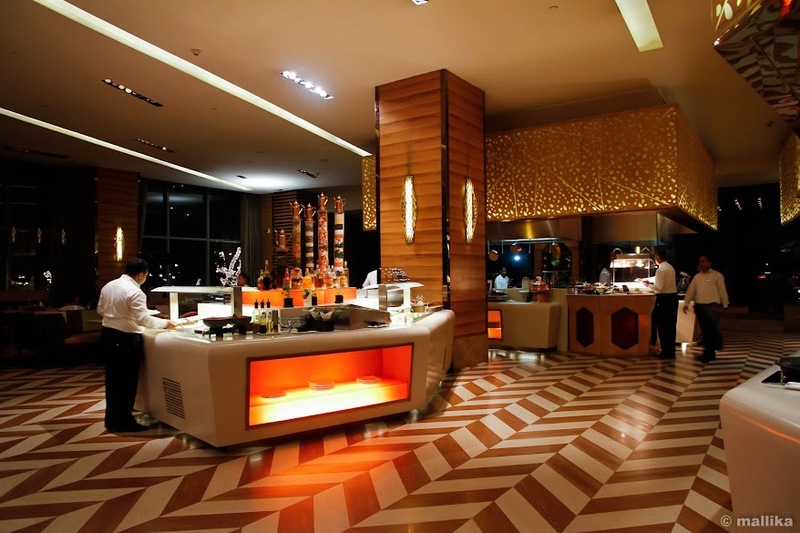 The food festival is being held at Sheraton's signature restaurant - Feast, which is located on the ground floor of the hotel. 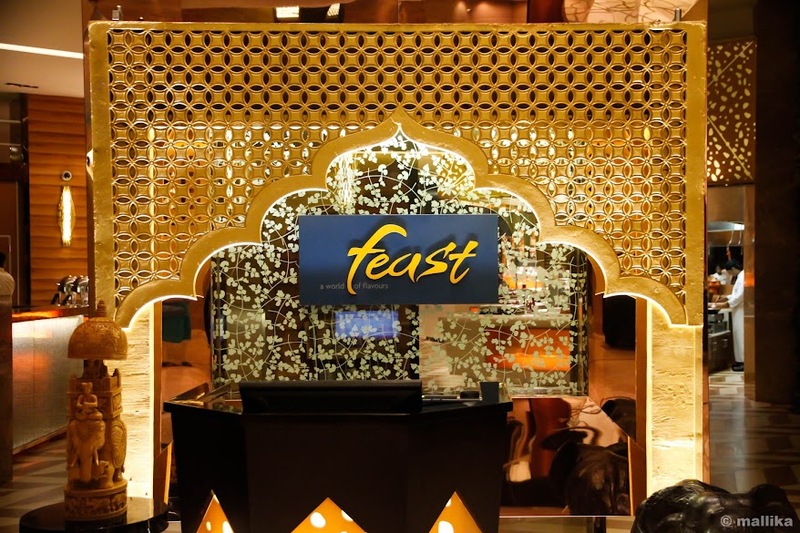 As a well designed restaurant in warm shades and rich feel, Feast has 4 counters boasting of live cooking at every counter, each specializing in a particular cuisine. 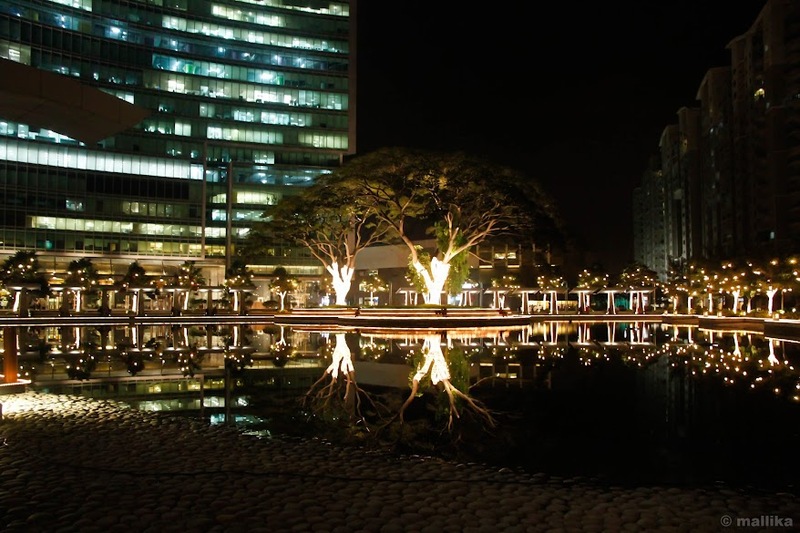 The staff is courteous and willingly helpful beyond what one can ask for. Accompanying the theme for food festival is a musical stage with live musical play, scoring the perfect background to set traditional mood. We started off with a platter of starters that catered to both the vegetarian and non-vegetarian taste buds. Through it's course, Chef Rehman walked us through an array of dishes on the menu they had to offer, explaining their history and significance, each unique and rich. 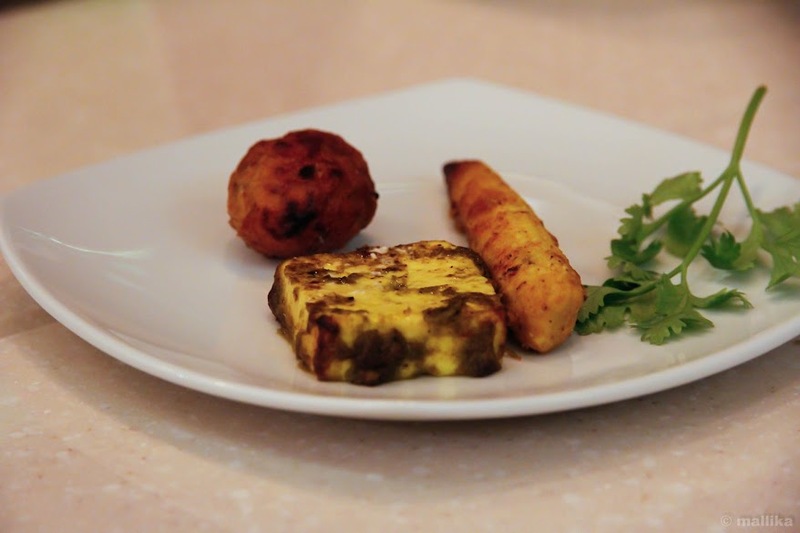 Aloo Neze Se and Achari Paneer Tikka served were both delicately flavored with smoky tandoori flavor that's typical of the Nawabi cuisine, a delight to someone like me who loves tandoori food and its grilled flavors. Grilled babycorn was good, but nothing of out the box to state. Next came along a basket of some delicately fragrant Sheermal Roti and Awadhi Naan. Sheermal Roti was unique with light toned sweetness from saffron and cream. So delicious that you could snack on them by themselves. The Sheermal Roti went through second and third helpings. 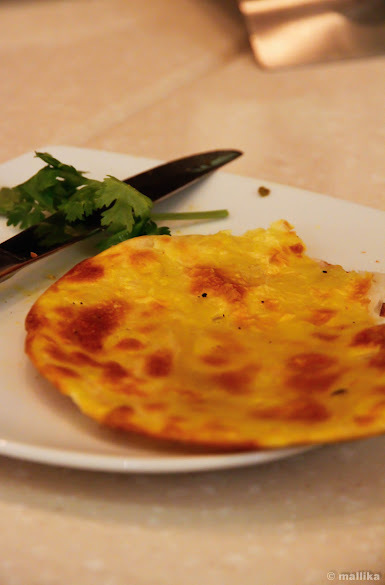 Awadhi Naan, a crisp and flaky mildly spiced bread with herbs and spices was in the second lead. On the main course was Nawabi Baigan Bhurta that stole the show away. Unlike the Punjabi Baingan Bharta, Nawabi Baigan Bhurta though not visually appealing, was rich, creamy and delicious. Worth every bite and rightly fit for the kings. The Paneer Begam Bahar, a chic cottage cheese based dish, lightly spiced in gravy of cashewnut and almond paste was another dish I thought was delightful. The chef did highlight that Dal Mumtaz was a must try. This unique dal made of urad dal was simple and grounded and so satisfying to my taste in contrast to its rich, cream laden counterparts. Dhingri Dolma and Subzi Sheek Noorani, both heavy on Indian spices were delicious. Subz Dum Biryani was robust in flavor, but not any spectacular. So was Dal Makhani as a usual accompaniment. 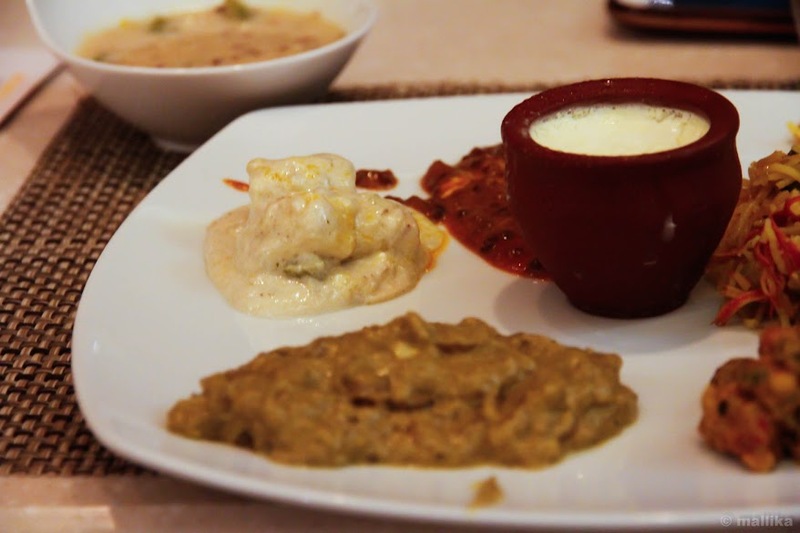 Up on menu for desserts were Shahi Tukda, Balushahi, Malai Sandwich and Anjeer ki Kheer. 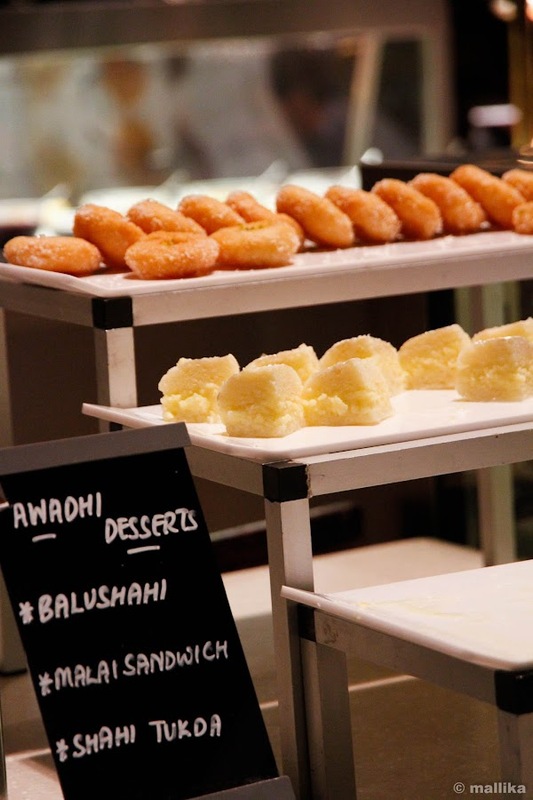 I loved the simplicity Awadhi desserts had - not cloyingly sweet, nor heavily creamy or fatty as I had presumed. Anjeer Kheer was delicious. Shahi Tukda was unlike what it usually is, distinct, soft and just right on sweet. 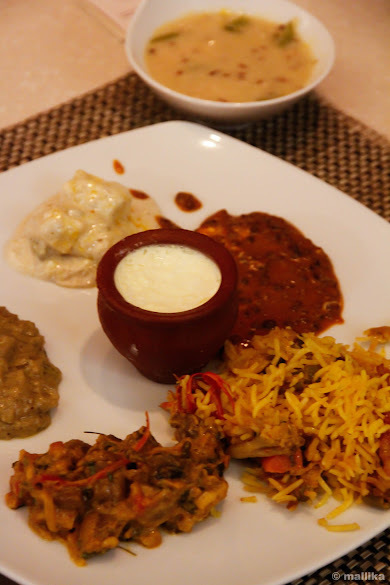 The Awadhi cuisine is undoubtedly a royal feast meant to pamper your senses and made to feel like Nawabs. 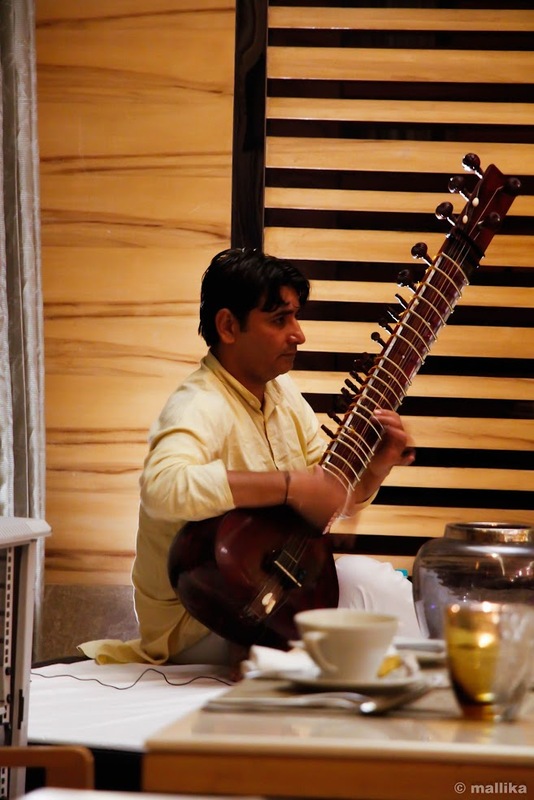 So if you are in a mood to dine out or celebrate an occasion or pamper in some Nawabi indulgence, head out to Sheraton where this festival is currently running till the 19th of October. The Dastarkhwan awaits!